What started as a dream, after 16 years of corporate career turned into a satisfying reality. Gail Morgan’s Study in Style Image Professional Course, has truly made my dream come true. Like most people, I’m sure, I came with self doubts, lack of industry knowledge and zilch experience as a entrepreneur. 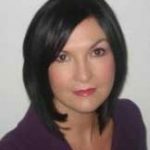 Gail was extremely patient and supported me during my decision making phase with her practical examples and extensive knowledge that comes from her vast and rich experience of over 25 years as an Image Consultant. Since taking the plunge, I have not looked back. 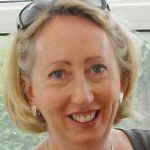 The training curriculum is very detailed and covers every aspect you would want to learn to be a successful Consultant supported by Gail’s practical knowledge. She guided me through every hurdle effortlessly which is a rare quality to find in trainers. The distance learning course is as good as the Face to Face sessions. Gail was flexible in letting me choose a combination of both which was a fantastic choice as it helped me untap her knowledge and learn from her practical experiences. If you are thinking of training to become an Image Consultant, I would definitely recommend ‘Study in Style’. Today I am a proud Consultant, ready to conquer the World! I would like to say a big thank you for an exciting and educational course. I enjoyed it immensely as I’ve always had the passion for fashion and the shopping aspect of it but did not have enough knowledge and confidence to pursue it as a job opportunity. After doing some research, I came across the Study in Style Training, Personal Shopper Course. I now truly understand the importance of body shapes and different colour palettes. Now I can put the knowledge I have acquired into helping to style others – saving time, effort and money as well as increasing their confidence. I enjoyed the group meetings as you get to meet other students and share ideas and questions, not to forget the lovely group day out shopping experience. It’s all been very educating and I would recommend the course to anyone. I can now have fun whilst working doing what I love. I just wanted to let you know how much I have enjoyed the Study in Style Personal Stylist Distance Learning Class that I have completed. It has been a tremendous help in training my eye to find the right styles and colors for my clients at Ann Taylor. My clients are doctors, lawyers, business women, educators, college students, housewives and mothers, who usually don’t have a lot of time to spend shopping. The quicker I can identify outfits that are harmonious with their shape and their hair, eye and skin tone, the more satisfied my clients are and the more they look for me when they return for their wardrobing needs. I feel this course has brought me many rewarding experiences as a Sales Associate in women’s apparel and I highly recommend it to anyone in the women’s clothing industry. I had been interested in Colour and Styling for some time and always watched all the TV programmes on the subject. I had had consultations myself which I found really interesting and helpful as I gained good knowledge about what suited me and so started to dress and shop in line with that advice. I soon started running Clothes Swap parties with friends and advising individuals informally of what suited them as I felt I had a good eye. It seemed to be my dream job yet too expensive to train in. Then I heard of Gail who I had met 10 years previously at a Nu Skin event. I decided to do all the distance learning training and I have found the DVDs to be of good quality and very thorough with lots of information and tips. Gail has lots of experience in the area and has been lovely to train with. She continues to be very supportive and makes time to speak to me whenever I need help. She is also very prompt sending out products etc. She is generous with her time and offers on-going Consultants meeting with lunch which are free and fun! The module format of the Distance Learning Course helps to ensure you’re on the right track. You can study at your own pace and it’s all in logical, manageable stages building up your knowledge as you go through the course. The level of detail is phenomenal and Gail has a lot of good advice on building up the business side of things. What’s great is that you can build up a business as you go through the course. I still work part-time and what started as an interesting side-line has real potential to become a strong business. Study in Style is a great investment; the course is rich in detail and offers brilliant value for money. I now have new skills I’ll always be able to use. Whilst attending a Women in Business Convention in 2007 one of the motivational speakers enthused “when you do what you love every day, you will never have to work again”. 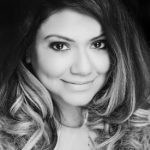 I was enjoying the ‘world’ of management consultancy but knew that I needed a change to achieve that personal goal. I contacted Gail at Study in Style, explained my retail and corporate background and was confident that she was the person to help me use my skills to start my perfect career. I completed my Study in Style Foundation training with her in 2008 and now I love what I do – I love that I have a business which allows me to be creative, I love the flexibility it allows me, I love the variety it provides, I love the rewards (both financial and personal) and most of all I love the fact that I help people look their best everyday and will never have to ‘work’ again. Deciding to study with Gail at Study in Style was one of the best decisions I’ve made. 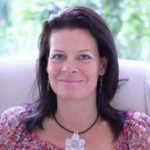 Her teaching style is gentle and informal, but informative and thorough, and our sessions were well planned, though flexible when we needed to make slight changes to timings. The deliberately small teaching groups ensure participants are fully absorbed into the learning, and full attention can be paid on both sides so nothing is missed. The manual is a great working tool, and there for future reference; which is just as well, as there is much information covered in those few days, and being able to re-read everything is so useful, as there is a lot take in. As with life, the learning continues way beyond those days of classroom study! Gail is very approachable and helpful, advising throughout and beyond the course when needed. Again, this post course ‘holding hands’ availability is great when stepping out into the world on wobbly ‘just born’ stylist legs. The personal shopping day was really useful, being able to work on a real client; perfectly selected by Gail to put to the test our learning from the previous few days. The business element of the course was also incredibly useful. The ‘to do’ list I came away with was staggering – it still is! I would fully recommend learning with Study in Style. Thank you Gail for a fantastic time – like the effect it has on our clients, it’s been life changing already. Training at Study in Style was such an enjoyable experience. Gail’s training was detailed and clear, and the encouragement and positivity given made me feel completely at ease and confident in what I was learning. Gail is a great mentor who provides support, not only throughout the training, but with every step of development that follows. I believe for me, personally and professionally I could not have chosen a better training provider. I was looking for something new and found an article in a magazine about an Image Consultant. It sounded like my perfect job – fashion, colours, make-up, shopping and I could fit it in around my family. After investigating the options available to train as an Image Consultant I found Gail and signed up for the complete face to face foundation course. The training was excellent; Gail has so much experience and knowledge of the industry and a relaxed style which made the course so enjoyable. 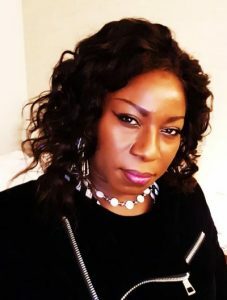 Since completing my training I have set up my own Image business and haven’t looked back; I love it and Gail continues to give me help and advice whenever I need it. I thoroughly enjoyed my training with Study In Style and would recommend the courses to anyone looking to enter the image business. For a while I’d been interested in becoming an Image Consultant and spent a considerable amount of time searching for the best training provider in the business. After weeks of research I decided to train with Gail at Study In Style. And what a good decision that was. With Gail’s many years of experience, enthusiasm and knowledge, I received an excellent foundation training and thorough introduction into the Image Consultancy business. The course was well structured and delivered by Gail, who was a great facilitator in all areas. Gail’s sense of fun made for a memorable two weeks and has given me the knowledge and confidence to set up and start my own business. There were no hidden costs (or small print) and the course was excellent value for money. I came away with all the tools and equipment needed to begin my new career immediately, without any commitment whatsoever to sell any products or meet sales targets, allowing me to run my own independent business my way! Many thanks, Gail, for an excellent course! 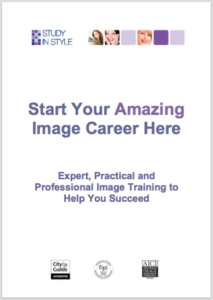 If you’re thinking of becoming an image consultant, go to Gail for training. She gave me an excellent foundation course, on-going advice and constant encouragement. Thanks to Gail I’ve found a career move which pushes all the right buttons – plus she’s a joy to know! I am doing lots of things related to image consulting…I am working with a beauty clinic in Madrid, which has been a great experience. I have also worked for three companies as a corporate image consultant…and definitely that’s what I really enjoy, although I will keep combining both personal and corporate. Thanks again for helping me change my life!